You’ll be aware that Sight & Sound magazine, a journal I do not hesitate to call “august”, polls critics, curators, academics and filmmakers every ten years to reach a learned consensus on the Greatest Films of All Time. And if you’re aware of that, you’ll also know that Citizen Kane was finally unseated in this year’s survey – the biggest ever, with 846 critics etc. polled – by Vertigo. The poll is designed to elicit debate and dialogue, so do not think it prescriptive. I personally like Kane, and appreciate its importance in the canon, but I rate Vertigo as my favourite Hitchcock, which is why I put it into my own Top 10. I remain, I must admit, flattered and delighted to have been able to add my own voice to the 846 this decade, to have attained a foothold on the cliff face of critical consensus. I have been a Sight & Sound subscriber since the 90s who, up to now, has had his nose pressed up against the glass. So how did I manage to break through? What changed since 2002? Did the Film Editor of Radio Times suddenly become more critically legitimate? Nah. I’m candid enough to admit that I emailed the editor of the magazine and asked if I could contribute. Hey, I’m not too proud to beg. Indeed, it is one of the basic home truths I always try to get across to students and anyone else who asks me for career advice: if you don’t ask, you don’t get. We’ll call it pester power. (It’s been established elsewhere that I asked if I could “have a go” at being a proper radio DJ when 6 Music was in its embryonic development stage, and this audacious request eventually landed me a day job at the launch of the network.) I’ve only ever written one piece for S&S, a labour of love feature about Gene Hackman, in 2005, and can you guess how I came to be commissioned to do that? Yes, by asking. Naturally, Nick, the editor, could have politely declined, and I would never have held it against him or the magazine, but I caught him at the right moment, and I achieved a long-held ambition. You can peruse and search and cross-reference the final results of the final poll here. You can also compare the 2012 Top 10 with those of previous years: 1952, 1962, 1972, 1982, 1992 (the first year a Directors’ Poll was included), and 2002. You can even search for every critic and point at their choices. Imagine if actual democracy was this transparent! I am excited to know that I am “Voter 811“. The reason I bring all this up again is partly because I was too busy, it seems, to blog about it when the results came out, and when the full thing went online. But it’s also because the BFI in London are showing the top ten films right through September. It’s a great season, and tickets are only a fiver, so if you’re in what I call “town”, have a look at the season and the dates. I’m certainly tempted to get down to the South Bank, as – tell nobody! – there are a couple of silents on there that I’ve never actually seen. Don’t feel that the S&S poll is all about intellectual oneupmanship. It isn’t. And nor is it only about silent films or Russian films or obscure films. There are plenty more recent films further down the list. Plus, it takes time for a new film to settle into “classic” status. And critics are obviously wary of anointing a picture too early in its life. Hey, 80 years down the line, it’s far easier to say that The Passion of Joan Of Arc is one of the greatest films ever made. I’m all for extending the debate here, of course. So, belatedly, Martin Scorsese’s Shutter Island … Now, I love Sight & Sound, the august film journal, and devour it every month, constantly inspired and informed by the words contained therein; I admire the seriousness and analysis it affords not just foreign and arthouse cinema, but often mainstream and genre pictures too. When, in the April issue, S&S went big on Shutter Island (“The Mind Games of Martin Scorsese’s Shutter Island,” ran the coverline), I allowed myself to be sucked in. Graham Fuller, who wrote the substantial cover story, is a fantastic writer, and the gravity with which he and reviewer Jonathan Romney, a committed deconstructivist, greeted the film was compelling. I expected a return to form. I needed one, as I’d had my problems with Gangs Of New York despite its operatic scope, and was truly underwhelmed by his belated Oscar-winner The Departed (and I’m not just talking about Ray Winstone’s accent), so I needed to see some juice from the great man. (I didn’t mind The Aviator, actually, since you ask.) The prospect of Scorsese using a neo-pulp novel by Dennis Lehane to try his hand at a 1950s B-movie about a fogbound insane asylum and a couple of investigating US Marshals seemed inviting. 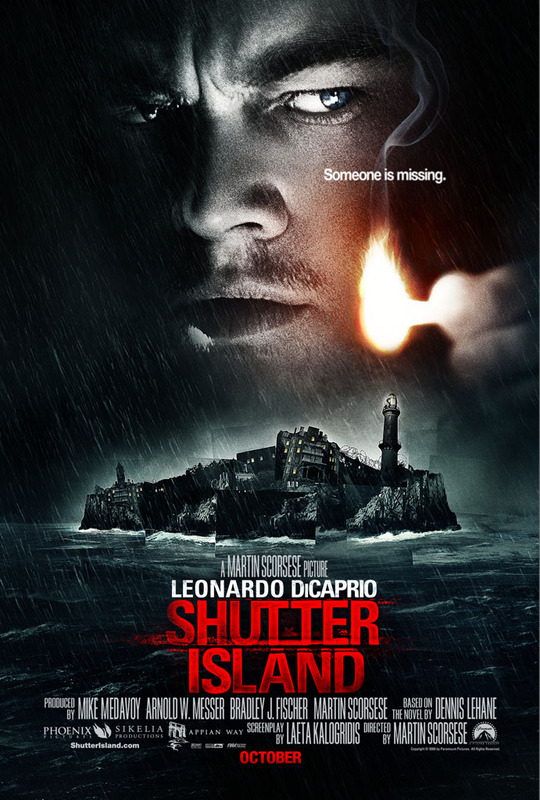 And both Fuller and Romney found all sorts of allusions and metaphors in the film: “Shutter Island is a concerted speculation on cinema itself,” announced Romney, while Fuller concluded, “Scorsese’s serious creepshow shocker, then, is both his most self-conscious movie in terms of its deceptive text, and his most rigorously psychoanalytical, analogous to Hitchcock’s Spellbound (1945).” Let me at it. What a disappointment it turned out to be. (It’s out on DVD on August 2, by the way.) It opens well, with Leonardo DiCaprio and the always-good Mark Ruffalo approaching the psychotheraputic equivalent of Skull Island on a crappy ferry from the Massachusetts mainland; year: 1954. In their wide-brimmed hats and beige raincoats, with pistols packed and badges at the ready, they are the US Marshals sent to investigate a mysterious disappearance/escape at the Ashecliffe hospital for the criminally insane. Ruffalo, in particular, just carries himself in such a way as to seem like he’s been lifted from a 1940s/1950s noir thriller and transplanted into a 2010 movie – a very clever performance. DiCaprio still, for me, looks like a boy dressed up in his dad’s clothes. This is not a comment on his acting, which is fine. It’s just the face that God gave him. Even with stubble and a few lines, he’s a baby, he’s a baby. Now, I don’t wish to stray into SPOILER ALERT territory. This is a film with a twist. The twist is Dennis Lehane’s. It does not come at the very end. In fact, it’s a twist that starts becoming apparent about half an hour before the end, to the point that it becomes a kind of narrative ping pong ball for an extended stretch, as we are forced to decide who’s telling the truth and who’s not. That’s all I’ll say on specifics. But in general, it’s a twist that makes your heart sink, rather than your head spin. I’m sure it worked on the page. I can imagine a lot of the guff in this film working on the page. But when it’s right there, in front of you, be it seemingly reliable flashback or clearly unreliable fantasy, the sense of anything being inside a character’s mind is lost. All it does it makes you distrustful of what you are seeing, which isn’t a good thing. Michelle Williams, perhaps one of the most underused actresses working in Hollywood today (she’s in everything, but rarely gets anything meaningful to do), keeps turning up as the wet, dead wife of DiCaprio; clearly, she is not really there, as she is dead, but she’s handy as a clue that we don’t yet know all the answers. Also – a contentious device for some people, this – DiCaprio’s character was among the US troops who liberated Dachau, so we get plenty of dramatic flashbacks to concentration camp bodies. This, plus mention of the Russians’ A-bomb test, and the House Un-American Activities Committee, and Nazi experiments really overloads the story with – woo – historical portent. Again, I’m sure it worked on the page, but on the screen it feels like significance for the sake of significance. I’m not trashing the film. It looks good. Ruffalo, as I’ve said, is superb. And there is a thrilling sense of the director loving the work he’s paying tribute to. But as a stand-alone story, it struts around self-indulgently, jumping out of dark corners trying to make you jump, and then not just having its narrative cake and eating it, but regurgitating it and trying to form it back into a cake again, in order to eat it again. I look forward to Martin Scorsese rediscovering his mojo. And although my expectations were unrealistically raised by the Sight & Sound coverage, at least Fuller and Romney were more entertaining and stimulating than the film they described. This has been a blog entry not about the World Cup.